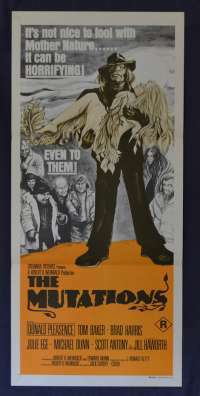 Rare Original Australian One Sheet Movie Poster in Near MINT condition. 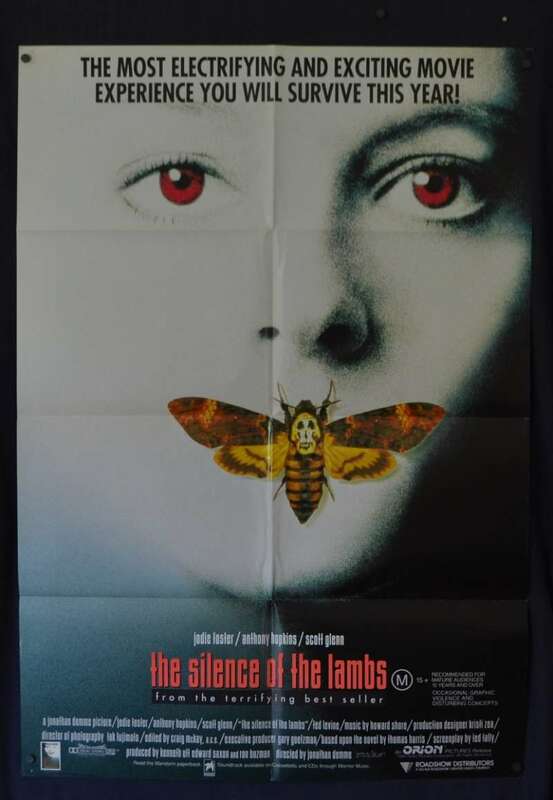 The Silence of the Lambs is a 1991 American horror-thriller film directed by Jonathan Demme and starring Jodie Foster, Anthony Hopkins, and Scott Glenn. 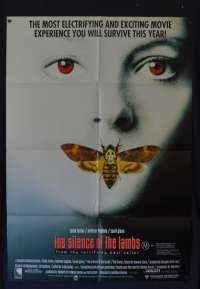 The Silence of the Lambs was released on February 14, 1991, and grossed $272.7 million worldwide against its $19 million budget. 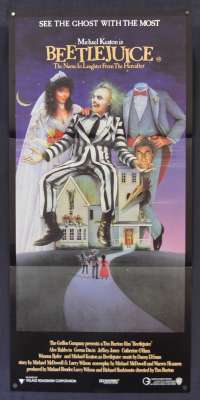 It was only the third film, the other two being It Happened One Night and One Flew Over the Cuckoo's Nest, to win Academy Awards in all the top five categories: Best Picture, Best Actor, Best Actress, Best Director, and Adapted Screenplay. 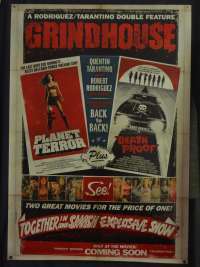 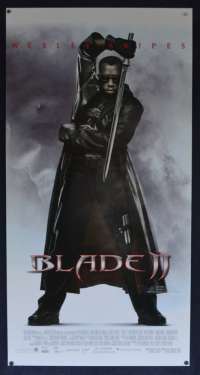 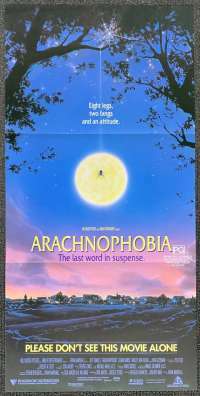 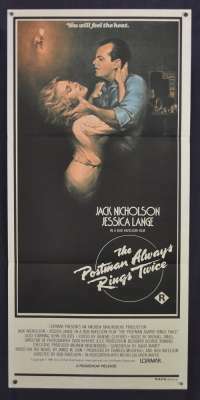 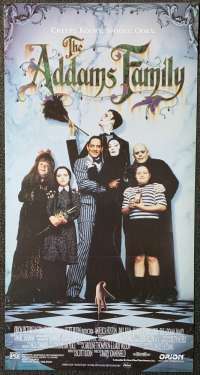 It is also the first (and so far only) Best Picture winner widely considered to be a horror film, and only the third such film to be nominated in the category, after The Exorcist in 1973 and Jaws in 1975.The film is considered "culturally, historically or aesthetically" significant by the U.S. Library of Congress and was selected to be preserved in the National Film Registry in 2011.